If you’re headed to the land of the red dragon between November and April, you should include skiing in your itinerary. When you’re planning a trip to China, skiing probably isn’t the first thing on your to-do list. In fact it’s probably not on your list at all. But perhaps it should be. With the Beijing Winter Olympics set for 2022, President Xi Jinping is focused on developing and upgrading ski resorts and snowfields across the country. Basically, there’s never been a better time to ski China. Skiing is not a traditional activity in China, but the sport has been growing rapidly in popularity over the past few decades. According to Vanke, one of China’s largest real estate developers, Chinese ski resorts drew fewer than 10,000 visitors in the mid-1990s, but in 2015 a whopping 12.5 million people hit the slopes in China. President Jinping has stated his dream to increase the number to 300 million by 2022. The same report by Vanke also stated that as of February 2015 there were 568 ski resorts in China, up a huge 25% on the year before. This is great news for international skiers as well as Chinese locals, who now have an exciting new destination to explore. If you’re going to China between November and March, and you love hitting the slopes, factoring some snow time into your trip is a fantastic idea. However, make sure you do your research before booking anything. While there are lots of options available now, most are not quite on par with ski slopes, towns and resorts in other parts of the world. Here’s our pick of the best ski destinations in China to try. Yabuli is the largest ski resort in China, and is considered its best by many Chinese and international skiers. 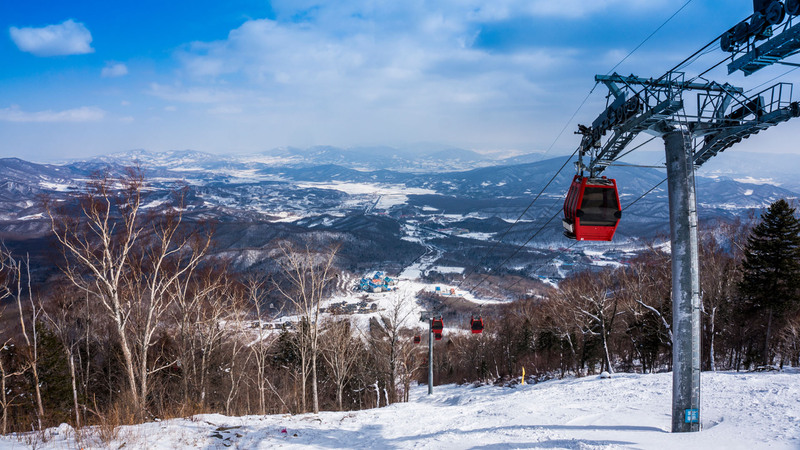 It also has the most extensive skiing infrastructure, catering to everyone from beginners to professionals, and was recently the site of the 3rd Asian Winter Games. There are lots of hotels, including a Club Med, plus bars, restaurants, shopping malls and a medical centre catering to all your travel needs. The best reason to go to Jilin is to see the spectacular surrounding scenery, especially the rime, which is the result of water droplets freezing in fog over the landscape. It is truly a wonder to behold, and is almost guaranteed between December and March. The city also holds a Rime and Ice Snow Festival in January that is worth the trip. The ski resort itself is top notch, and has been the site of professional skiing competitions, so you know it has to be good. The new Club Med there is said to be excellent too. Also in the lovely Jilin, and surrounded by equally picturesque countryside is the Changbaishan ski resort. Changbaishan has been hosting sportsmen and recreational skiers since the 1950s, and it is said to boast snow quality on par with western Europe. Great for families, Changbaishan is close to many other attractions such as Tianchi Lake, Erdaobai River and many natural hot springs. Boasting 21 trails, Nanshan is the largest and most advanced ski resort in the Beijing area. But that’s not all. For snowboarders there’s also Nanshan Mellow Park, China’s first snowboarding theme park. The resort also offers many non-snow activities including grass skiing, water sports, aquaplanes and paragliding. For new or nervous skiers there’s also Nanshan Skiing School to help you get started on the slopes. One of the training bases for the Chinese national skiing team, Alshan Alpine ski resort is considered one of the very best ski resorts in China. Located just on the border of Inner Mongolia Autonomous Region of China and Inner Mongolia, the resort has trails to suit skiers at every level. There are also lots of fun activities for visitors other than skiing, including horse racing and wrestling. Hitting the slopes is definitely fun, but this fun does come with the chance of injury. Make sure you protect yourself and your family with travel insurance covering every possibility. How much do you know about our nation’s health? Does sleep loss equal weight gain? Are sleepless nights widening your waistline? Could worry be upsetting your stomach? Is our favourite treat actually good for us? Subscribe to Live Better and receive our Sleep Guide FREE! As well as useful health tips and insights, expert advice, offers and promotions straight to your inbox each week. While we hope you find this information helpful, please note that it is general in nature. It is not health advice, and is not tailored to meet your individual health needs. You should always consult a trusted health professional before making decisions about your health care. While we have prepared the information carefully, we can’t guarantee that it is accurate, complete or up-to-date. And while we may mention goods or services provided by others, we aren’t specifically endorsing them and can’t accept responsibility for them. For these reasons we are unable to accept responsibility for any loss that may be sustained from acting on this information (subject to applicable consumer guarantees).